As I close my eyes and drift away to a land where there is love, health, peace, and blessings. I wanted to take the time to think and reflect. The truth is that as the Olympic Games in Rio 2016 continue. I have to say I am left in awe. Sometimes speechless, stunned, and absolutely shocked. We are seeing record's that have been broken, and new records that have been set. I once again have to say I am left in awe. Watching and learning from all of the inspiring stories. I wanted to take the time to reflect upon Simone Biles. As the world in introduced to this athlete, we witness a talented artistic gymnast. I wanted to connect her example to my previous thoughts. In these thoughts I discussed my views upon the topic of Abortion. I also mentioned foster care and adoption. Although I did say that there are social and emotional factors that arrive with these, as they do. 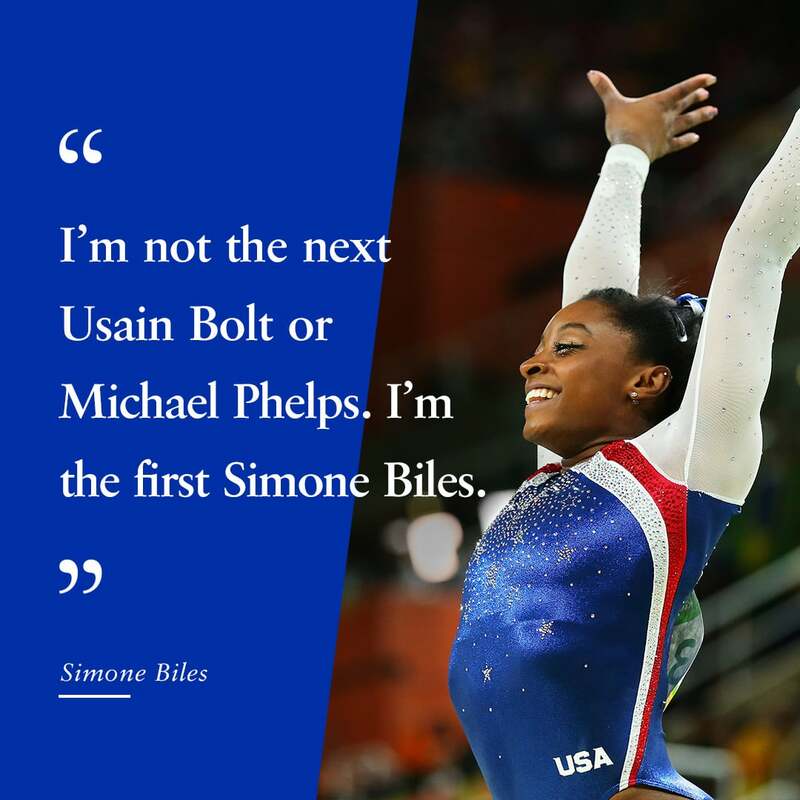 The example and the fact that our Simone Biles is an adopted child, and that she was able to attain such grace, skill, and probably overcome the challenges, simply shows the success of adoptive cases. This is the positive, her story will surely inspire many. However, I think that it is very sad on the part of the media who would have to dive into her personal history for the sake of publicity. Yes she is a champ however, she is also a young adult who deserves to win without having to defend her personal self at the global scale. This success is meaningful and inspiring not just at the athletic level, but also at the level of thinking about the idea that every child matters. No matter where you come from, or how you arrived into this world. Every child matters. These thoughts can also be extended when we think about Simone Manuel. She is the first African American woman to win a Gold Medal in the Women's 100 meter Freestyle, as well as a Silver Medal in 4 X 100 meter women's freestyle relay. Her win is not just a simple win. It is a historic inspiring win, that breaks the grounds of the invisible racial stereotypes suggesting that swimming is a "white" persons sport. She has shown to the world that a skin colour should never define who you are as a human being, and what you can give, and offer to this world. Everyone has the potential, the desire to dream, and to be. As we continue to hear of these medals. The Olympic games are showing the world that unity, love, and peace are possible. We can all stand together, regardless of the constructions of "race", or religious belief. There is the possibility of unity. This is exemplified through a medal podium, when Simone Biles, a Christian, Ally Raisman, of the Jewish faith and Aliyah Mustafina a Russian Muslim, who stood together to accept their medals for their countries. If we can stand together on a podium, together united can our leaders use this example to inspire them, to see that we and the generations that will arrive want to live in a peaceful world, where the historic battles should be put to an end? How long will the fighting continue? What is fighting trying to prove? Have you not proved and hurt the world enough, through these battles of proving one religion is better than another? Or a "race" is better than another? We have also seen and witnessed absolutely beautiful examples of unity through Team USA. Displaying love and care for each other, standing and supporting each other. These examples are true inspirations, showing us that we as a human "race" can do better. We can do better, to love and heal one another at the global level. Team USA Basket Ball Kevin Durant visits USA Swimming Champ Micheal Phelps. Jordan Burroughs and Katie Ledecky stand together to share the happiness of their Gold wins. Ibtihaj Muhammad first woman to complete wearing a Hijab.